Innocently I was dragged to political activities since 1976. I came in touch with All Nepal National Free Student's Union popularly known as Akhil or ANNFSU (later I knew that was related to the then Communist Party of Nepal –4th Congress faction) through my primary school teacher. Due to bad public image of that Sir—I denied to be the member in 1976, when I was student of Grade 8 in Trishuli High School-a old higher secondary school of my home district. I was fun of Ideal myth and was inspired by Mao. But really I don't know what is the Mao-Ze–Dong thought! I had very gloomy and funny idea that Lenin is the person for reform and Mao for total revolution. Thus as a teenage adventurism I had favoured Mao. The year 1976, when I heard news on Radio Nepal that Mao had died, with no reason I became sad. In 1978, I came to Kathmandu and early 1979 joined Institute of Engineering. This place remoulded me—spontaneously, I joined student movement of 1979. Then, Referendum had been declared; I followed things what the then CPN (ML) group prescribed. Still I was ignorant and somehow under anarchist attitude. Slowly without proper attention I became one of the activists of the then CPN-ML. I had 24th position in IOE; that was enough to join higher education in USSR. I don't know why I denied applying for scholarship; anyway it was my personal decision not to go Russia. Then I changed my track, and involved fully in Political activities. It was the year 1981. My primary job in political movement was as courier from party HQ to different rank –n-file leaders.Then shifted to publication and design work. I stationed in a Den where senior underground leaders made it their safe shelter. Slowly I was pushed to organise political class in Lalitpur district, particularly in City and campuses. I never wished and allowed to work in student organisation; however nobody was far from student politics at that time. Then I was asked to work with Trade Unions. At that time no educated people showed their interest work on Mazdoor Sangathan (Trade Union). It was not my choice but I was offered with this responsibility. By the year 1989, I was fully succumbed in Trade Union activities. As a political organiser I entered into the union and involved to launch a 'Giant Confederation' GEFONT as founder Secretary General. After 15 years of my service, from the 4th National Congress of GEFONT I quit from the post of GEFONT Secretary General. From GEFONT 4th National Congress I have been elected Vice-chairman with responsibility of Planning & Research. As the chief of the GEFONT Central Planning Commission my responsibility was to carry-out research & planning work along with other commissioners. My routine work was to coordinate GEFONT’s several project as well. I had been given responsibility to represent GEFONT in numbers of labour related committees and commission of the Country including international forums. From 5th National Congress held at April 4-7, 2009; I have been elected President of National Executive Committee. This repsonsibility was handover by my predecessor Com. Mukunda Neupane on April 30, 2009. During the course of struggle, I have been arrested several times and jailed. In 1984 in connection with National teachers' agitation, I was arrested and sentenced for 9 months. During the time of popular movement 1990, I was one of the members of Valley Action Committee. Just 12 days after of the popular movement, I was arrested and jailed for 35 days. Similarly, I had been fully involved in Peoples' Uprising of 2006. I have together politcal hat as well; I am one of the Politburo Members of CPN (UML)- the realistic communist party in Nepal. From the Party I have been elected in 601 member Constituent Assembly, where we are heavily engaged in to draft new constitution. Com. Neupane was born on June 1950 at Gogane-3, Bhojpur- the eastern hill district of Nepal. He spent some 20 years in underground political activities during the autocratic Panchayat System under absolute monarchy. Though, he did appear in surface after the attainment of multiparty system in 1990, he was the chief organiser of labour movement since 1972. A married militant leader com. Neupane never joined formal education, however, he is a well-known progressive literature and has published 9 books. He is currently shouldering several responsibilities as chief of the Central Planning and Research Commission of GEFONT. Being the GEFONT chairman, he is the principal organiser and the political leader in GEFONT. Com. Neupane has served Nation as Labour Minister of Nepal in 1997 for 7 months. Chairman Neupane was born in a poor peasant family in Bhojpur Kosi Zone, a remote eastern hill district near Mt. Everest. There was never any question of getting an education, for there were no schools. When he was 17, Neupane moved to tropical Terai, one of the country's partially industrialised areas. As a young and talented poet, he portrayed the lives of the workers and he became part of the emerging resistance. "Even though I had no education, my home became the centre of the new opposition intelligentsia", Neupane explains. "During the day we organized the unemployed. At night we discussed revolutionary theories and we shared knowledge and experiences." In 1971 Neupane joined the peasant movement, which was increasing in strength and in militancy. "I spoke at numerous meetings", he relates. "It wasn't long until I was wanted by the law as a revolutionary. I was arrested after a violent confrontation with the police. Fortunately, I was so severely hurt that they had to take me to a hospital. In spite the presence of guards, I managed to escape and then I went underground." Under false identity and moving from place to place, Neupane was the organizer of an underground Network. "It was during this time I met my wife. She was a teacher and a union activist. We married and had our first child, but we could not be seen together in public." "I helped to form the first embryonic union in Biratnagar in 1973. Looking back, it was clear that we were too optimistic. The police easily quashed us. Towards the end, only eight of us activists were not in prison. We fled to different parts of the country, promising to meet again soon." For two years Neupane worked for a rich land-owner, ploughing, until he was able to go back to Terai and Biratnagar. "This time, we were more prudent, we made no demands until we were strong enough to withstand repression." In 1979, NIWU- Nepal Independent Workers Union was founded. More and more workers' groups were organized into underground federations, principally in the areas of transportation, hotels, trekking, carpets and textiles. Ten years later, July 20, 1989 the time had come to bring these federations together as GEFONT. Now the union had become part of a large political movement whose aim was to topple the king's dictatorship and replace the Panchayat system with a parliamentary democracy. "When protests grew stronger, the authorities responded with increased repression", Neupane recounts. "Hundreds of leaders were wanted by the police as criminals. However, the people's revolt could no longer be stopped. Tens of thousands of workers went out and made their demands. In less than a year, the democratic revolution had become a reality." In April of 1990, Neupane and all the others who had gone underground came forward. He immediately got involved in a national campaign agitating to improve the position of the unions. In the 1991 elections he was elected (Member of Parliament) on the UML ticket, and in the November 1994 elections, the man who had once gone under-ground now had a post in the government. "Isn't it difficult to have such a double role?" I ask. "On the one hand you are head of a trade union, and on the other a part of the government. What happens in a conflict of interest?" "In the parliament, I am a workers' representative," Neupane says firmly. "I know where I stand. The workers' and the unions' demands must be met. If government policies become anti-worker, I will join the opposition. As things are now, I can make use of the situation to improve ours." Neupane speaks eagerly of the reform, he hopes to bring about regulating the labour market so that the workers' basic rights at established by law, regulated working hour, increased minimum wages, health insurance and land reform. "These aims are concrete things, not socialist utopias. Both UML and GEFONT have long abandoned any thoughts of the dictatorship of the proletariat. Pluralism and democracy will guarantee progress and the people influence." "As a first step we must cooperate with the bourgeoisie to defeat feudalism," Neupane states. "We want to limit the lands of those one per cent feudal lords instead of what they have today. The landless majority must have access to land of their own. The feudal lords must recognise that their power is outdated. They want to be modern they must transform their land into capital and start enterprises. "The transformation of society will not happen overnight", Neupane concludes. "Little by little, step by step, we will become masters of our reality and acquire power over our own lives." Com. 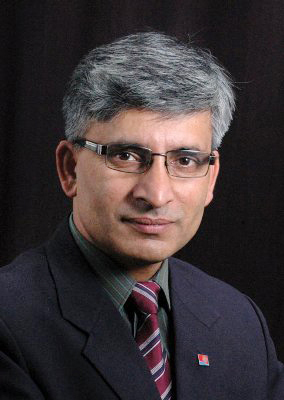 Basnet was born on January 1955 at Khalanga, Salyan- the western hill district of Nepal. He has been just retired from a Chemical Factory located in Hetauda, Makwanpur-Central South part of Nepal. Com. Basnet is married. He has been working as a union activist since 1979. During the time when Chairman Neupane was Labour Minister, he had shouldered responsibility of Acting Chairperson of GEFONT. At present he is heading GEFONT's new & biggest federation-Federation of Agricultural Workers of Nepal (FAWN) and assisting the chairman. "I came to Kathmandu from Salyan in 1971/72 for education. While in Kathmandu, I learned watch-repairing work from a Lahure (Nepali who had joined foreign arm-force) and became a watch mechanics. I spent four years in Kathmandu. During the period, I heard, the government was going to distribute land under Rehabilitation programme in Hetauda and I arrived here. My pocket was empty, thus stayed in one of the friend's home by sharing his meal and bed for six months. During that period I could get a job as plumber in Mahashakti Soap industry under contract. My performance impressed factory owners very much; thus he offered me a new job. This was my departure point in the world of work", said Comrade Basnet, recalling his past. Born in 1955 in Salyan, one of the militant figures of Nepali Trade Union Movement Com. Lalit responses a question on how he entered the trade union activity. "It was 1975-77, we had toil hard almost 24 hours just like a bonded labourer. There was no provision of overtime nor we could get more than Nrs.100 (US$ 1.5) per month as salary. When I started to stay out from factory premises one of the salesman of the factory inspired us to raise voice against the exploitation. We put forward our collective demands and surprisingly gained some achievements. From this event, I get involve in union." His achievements were not as all of sudden, he has travel a long journey. First and foremost event was his involvement in newly launched trade union-Nepal Independent Workers' Union-NIWU in 1979 as vice-president of its Makwanpur district committee. He led several agitations with this capacity. Then he was elected Central Committee treasurer in 1981. Rapidly he claimed the ladder of leadership and was elected president of central committee by the first national conference held in 1988. This position dragged him to a focal point of union movement. Within a year he became uncontested founder president of the GEFONT. The historical day was July20, 1989. Now he is Vice-chairman of gefont; this position is in continue since 1992, first national Congress. Com. Lalit is shouldering different responsibility in Union movement. One of the challenging jobs is to lead Agricultural labourers, which are vast majority in numbers. This group of toiling masses includes bonded-forced and illiterate workers. They are denying from basic trade union rights and are surviving under severe exploitation. This is challenging and difficult job; however Com. Lalit is comfortably leading the FAWN. As a respected leader of Nepal's trade union movement, he has been elected as honourable Member of Parliament and is in a new responsibility now. The man could exhibit his performance by defeating an employer contesting in Upper House (National Assembly) of Parliament from ruling party's ticket with large margin.